As the Tupolev Tu-95 has made headlines recently, I decided it is time for a brief explanation of the plane and its capabilities. Tupolev Tu-95MS registration RF-94117 “Red 27”. The plane is named “Izborsk”, after a famous Russian castle close to the Estonian border (in fact, Izborsk belonged to Estonia up until 1945). Picture taken by Finnish QRA during one of the intercepts conducted during the last days. Together with a small number of Tu-160 and a large number of the smaller Tu-22M3, the mighty Tu-95 make up the combat aircrafts of the Russian Long Range Aviation (VVS-DA), the air force branch responsible for long-range strikes with nuclear and conventional weapons. The Tu-95 first flew back in 1952, and traces it lineage back to the Tupolev Tu-4, itself an unlicensed copy of the WWII-era Boeing B-29 Superfortress. However, its size, role, and age, corresponds more to the same manufacturers B-52 Stratofortress, with one important difference: while both planes first flew in the early 50’s, the last B-52 rolled of the production line in 1963. The Tu-95’s currently in service are no more than 20-25 years on old on average. Like its American rival, the role of the Tu-95 have evolved from that of a traditional bomber equipped with a large number of internally carried free-fall bombs to that of a launching platform for cruise missiles. The current version of the Tu-95, the Tu-95MS, is a true second-generation development of the aircraft, and incorporates changes to the airframe first developed for the Tu-142 maritime patrol/ASW version of the plane, including a larger wing area and the deletion of all gun turrets except for the tail unit. To comply with the START/SALT-treaties, a number of planes designated Tu-95MS6 lack external hardpoints, and as such only carry six cruise missiles internally in a revolving mount. The rest of the planes are equipped with an additional four underwing hardpoints, capable of carrying a further ten cruise missiles (on each side there is one twin mount between the inner engines and the fuselage, and one triple mount between the engines). This variant is then called the Tu-95MS16. As far as I understand, these are the only differences between the versions, and I have no idea what kind of effort it would take to convert a Tu-95MS6 to a Tu-95MS16, nor have I been able to spot the differences between the two versions despite having studied underside pictures of a number of different aircraft individuals. 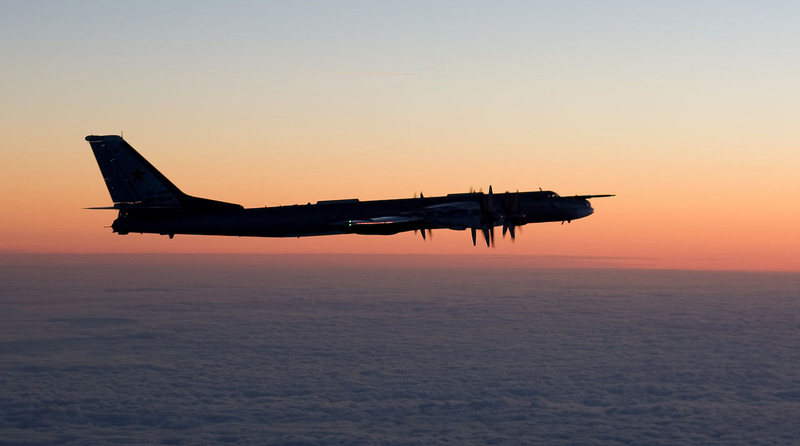 Another Tu-95MS intercepted by the Finnish Air Force during an evening flight over the Baltic Sea. Aside from the Tu-95MS, the only other version of the “Bear” currently in service are the aforementioned Tu-142 long range maritime patrol aircraft, a number of which have also been exported to India. Of the “true” Tu-95’s, all older bomber versions, including the Tu-95K, have been retired, and the same holds true for the Tu-95U trainer version. A number of modified Tu-134UBL transport aircrafts are used as pilot trainers by the VVS-DA, being easily identified by their long nose housing the same radar equipment as a Tu-160. However, it is unclear if they are also used for training crews for the markedly different Tu-95. In any case, these long-nosed planes are the most likely culprits in the case of the reported formation of Tu-134’s that appeared over the Baltic Sea last Sunday. 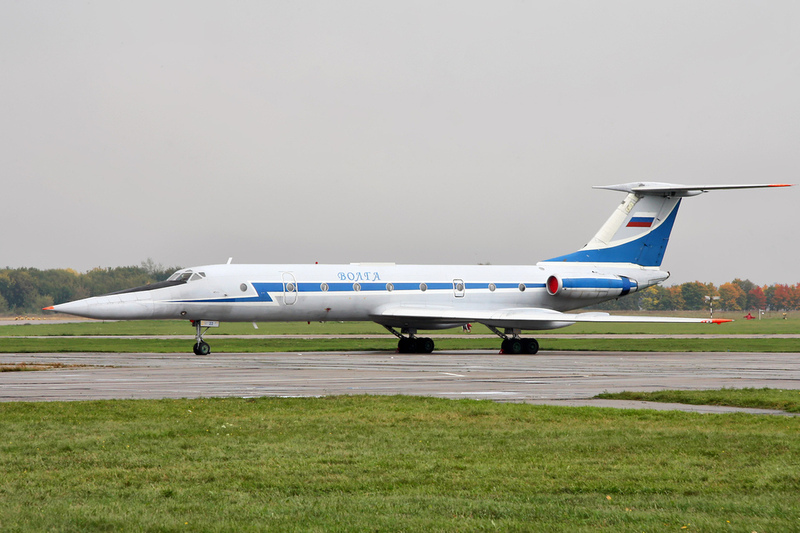 Bomberpilot trainer Tu-134UBL bort “Blue 22”, named “Volga” Source: Wikimedia Commons/Vitaly Kuzmin. All in all, it is an impressive piece of engineering, and has long ago earned its place in the books of aviation as a true classic. Its main weakness lies in it being terribly vulnerable to modern long-range SAM systems, and naturally to enemy fighters if operating unescorted. As such, the tactics in times of war would most probably be for the aircraft either to loiter over own territory and conduct pinpoint strikes from there, or fly over the Arctic wastes and surrounding oceans to launch stand-off attacks on targets in Northern America and Western Europe with either conventional or nuclear-tipped weapons. As stated in my last post, I cannot foresee a role for it operating over the Baltic Sea.